358 backers pledged AU$ 28,554 to help bring this project to life. Component overview. Click to enlarge. Achieve 2600 Likes on our Archona Games pageon Facebook + for each 20 shares on THIS POST we will include 1 extra mercenary card in the game! Achieve 1900 Followers on our Instagram Profile + for each 10 Reposts of THIS POST we will include 1 extra support card in the game! Achieve 1200 Followers on our Twitter profile + for each 10 Retweets of THIS POST we will include 1 extra mission card in the game! And if we get to complete all of them, we will unlock the ultimate social stretch goal: Original atmospheric soundtrack for Galactic Warlords! 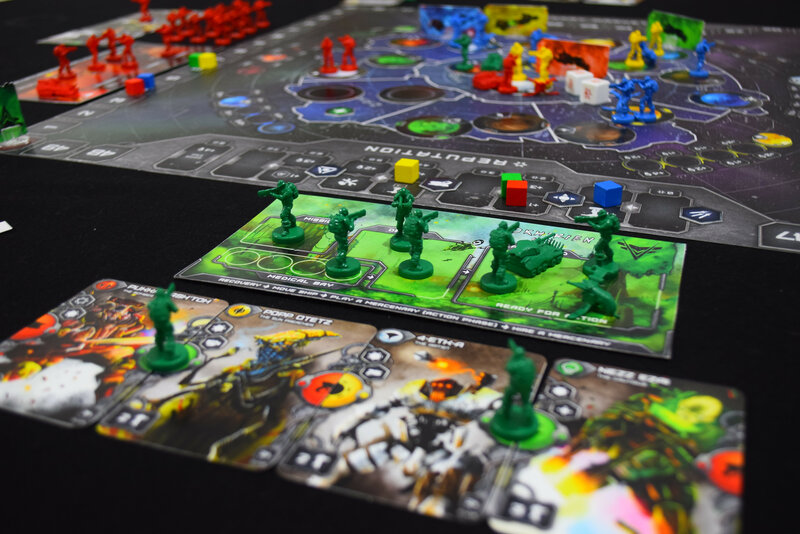 Retailers: We would like to give the retailers an opportunity to stock our game through Kickstarter. By backing our project you will receive a fair bulk discount and save on shipping as well. Just contact us at contact@archonagames.com and we’ll form an offer that will suit your needs. We have learned a lot since the first launch of this game, so we think we are much better prepared this time around. - Almost all of the assets are ready to be sent to the manufacturer. - Arranged for a manufacturing timeline before the Kickstarter campaign. We addressed every detail with our manufacturer, and they know exactly what needs to be done, plus we are considering the stretch goals together as well. We are hoping to make a great second game for you and a successful and fun campaign! Of course, we would not be here if it weren't for you! Thank you for the great support you have given us! Thank you, every dollar counts! With this pledge, you can stay up-to-date with the campaign. After you pledge contact us at contact@archonagames.com so we can process your order. 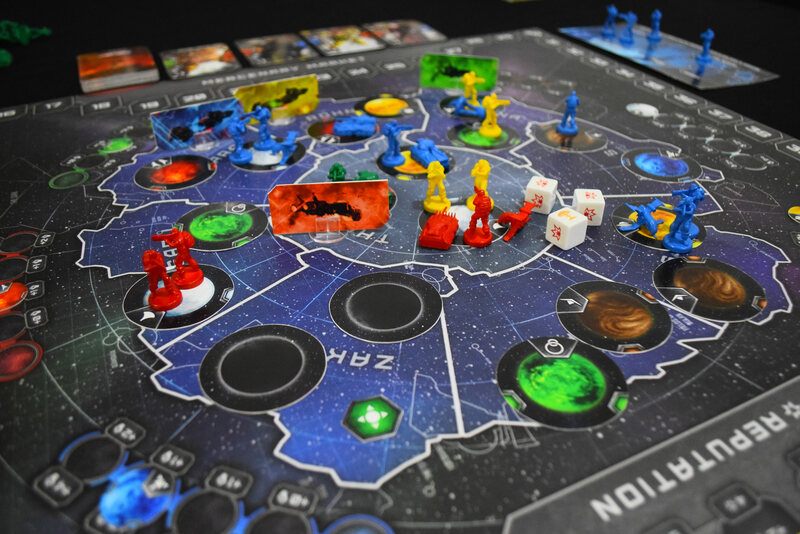 Galactic Warlords: Battle for Dominion core box game including all unlocked stretch goals. Extra copies are AUD $64 (USD $49)/each with no additional shipping cost. 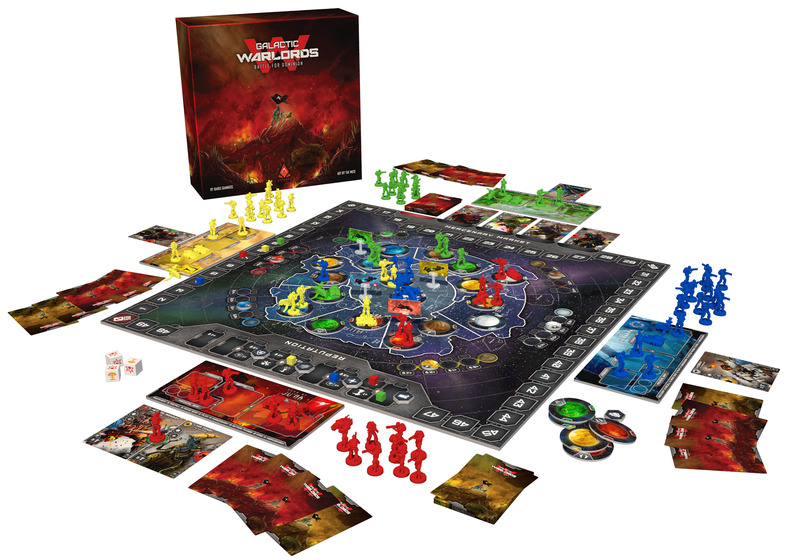 Galactic Warlords: Battle for Dominion DELUXE game including all unlocked stretch goals, 12 faction custom combat dice and art book. Extra copies are AUD $77 (USD $59)/each with no additional shipping cost. 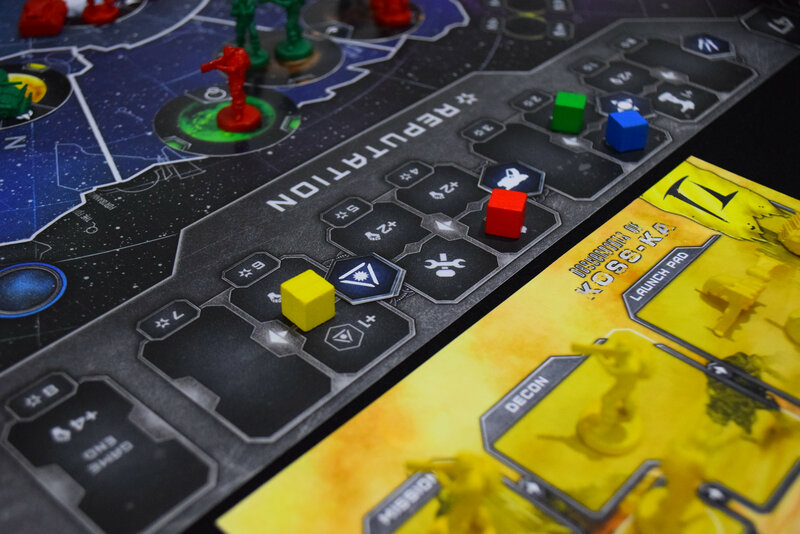 The Galaxy Pack includes Galactic Warlords DELUXE including all unlocked stretch goals, Small Star Empires (MSRP USD $35) and Free Shipping worldwide.